However, I discovered that Metamorphosis is not about bureaucracy at all; it’s about a man dealing with an abrupt cessation of income and the subsequent loss of respect from his family. The fact he has transformed into a gigantic cockroach is dealt with such stoicism as to render it almost secondary to the tale. Indeed, no explanation is found, nor sought, by the protagonist Gregor Samsa (or any other character for that matter) as to the cause of his entomic predicament. The transformation is complete, an indisputable fact; so we may as well deal with it, ok? Stop whinging. It’s an interesting, if ultimately depressing, read – one that initially explores the practicality of the metamorphosis (eating habits, loss of income, unfamiliar basic limb control), before hitting you with the terrible shame and isolation Gregor feels. But by the end, you’ve realised it’s not about Gregor, so much as his family’s reaction to him – more specifically his younger sister’s own gradual transformation, from the naive innocence of youth to the unsympathetic pragmatism of adulthood. So, though the bureaucracy element I was expecting was absent in this particular work, “Kafkaesque” also relates to the surreal and the mundane – abundant features in Metamorphosis. It’s weird, yet oddly dull; grotesque, yet pedestrian. Darkly comic in its absurdity, and delivered in solemn tones, it’s a strange thing to read – but that didn’t stop me going on to read another Kafka short story, In The Penal Colony. Evidently I had caught the Kafka bug. 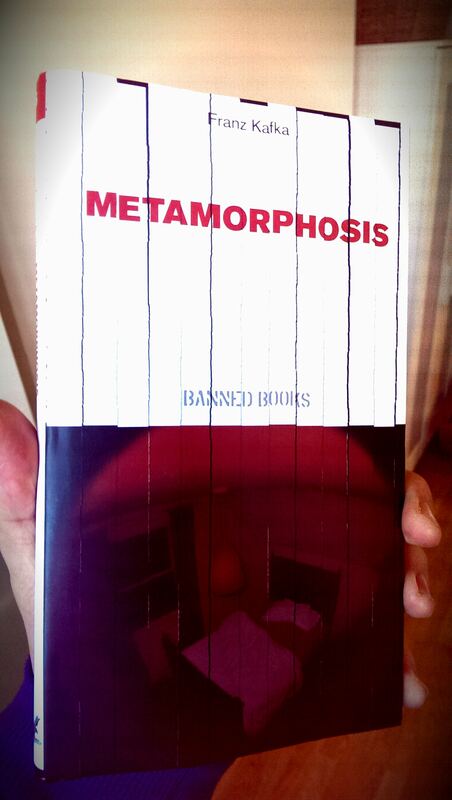 You can read Metamorphosis here, as part of the Gutenburg project.